We are heading towards year end, and that means a few more MNSC dinners are coming up. 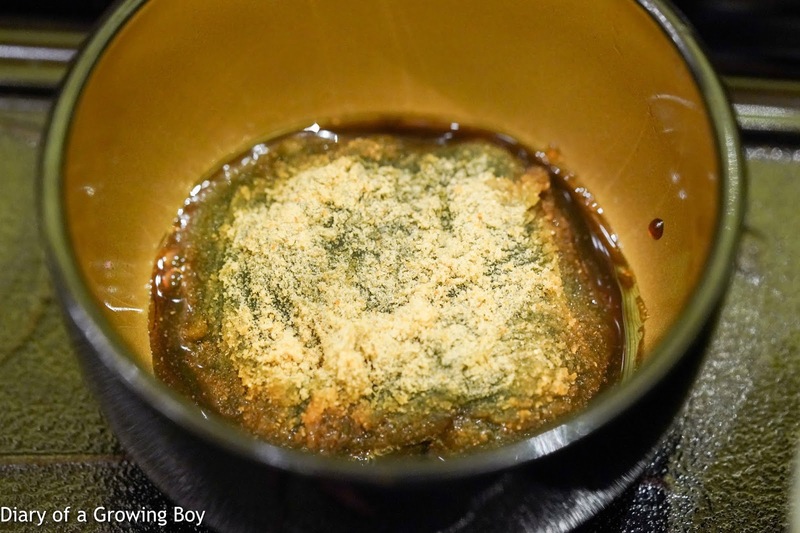 Tonight it was Juliano's turn, and he invited us back to Kaiseki Den by Saotome (懐石 さおとめ). This place has been consistently serving up high quality kaiseki (会席料理) for quite a while now, so it's always good to come back. 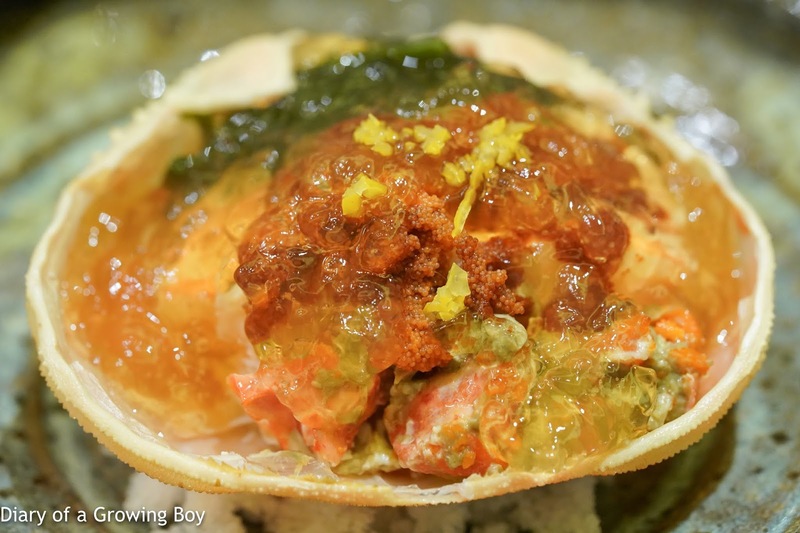 Kobako crabmeat with julienne (先付：香箱蟹 ジュレ掛け) - it's that time of the year again... when we get these snow crabs (ズワイ蟹) laden with goodies - crab meat, tomalley (蟹味噌), ovaries (内子), and eggs (外子). 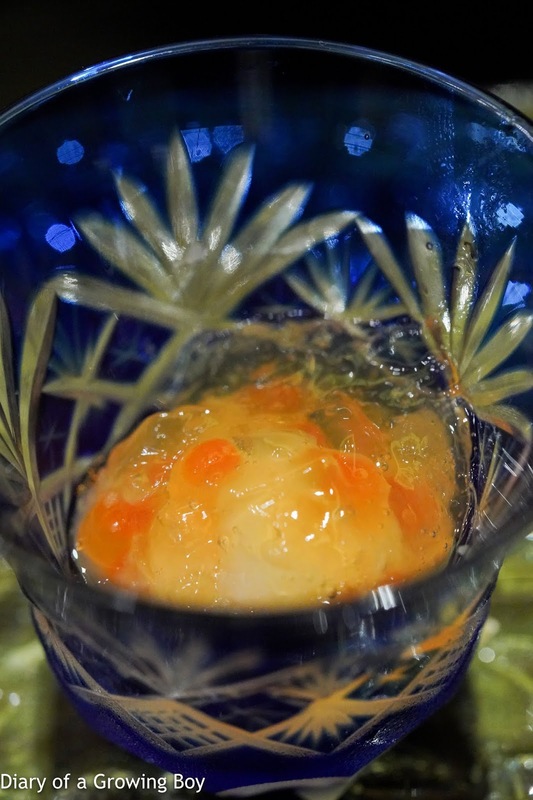 All covered in a layer of jelly scented with shaved yuzu (柚子) zest. Wonderfully refreshing and packed with flavors. 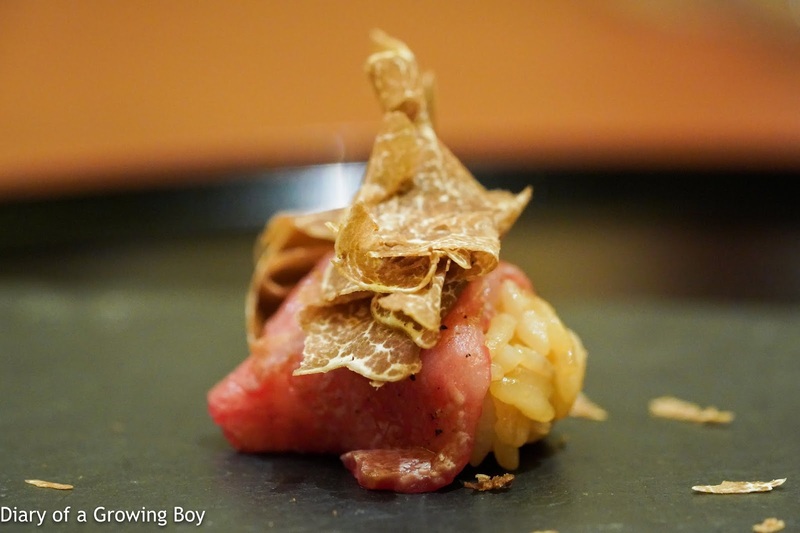 Searedn A5 Hida beef sirloin, lotus root mochi with sesame sauce (飛騨牛 A5サーロイン炙りと蓮根餅 胡麻ソース) - the slice of sirloin was draped over a chunk of deep-fried mochi (餅), and came with a sesame sauce mixed with vinegar jelly. Finally there was some almond shavings and finely diced spring onions. Pretty nice. Grilled pork marinated with miso, jumbo nameko mushroom (梅山豚味噌漬炭焼き. 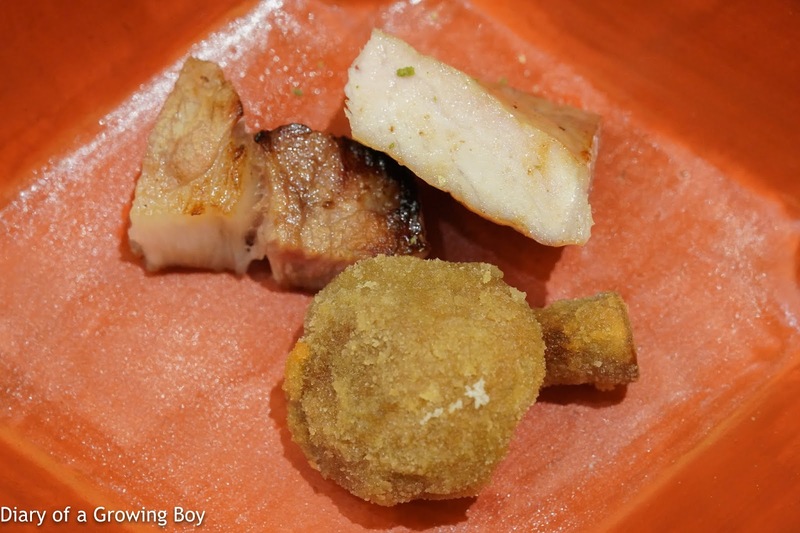 ジャンボなめこ) - two pieces of pork here... including a fatty piece of belly. 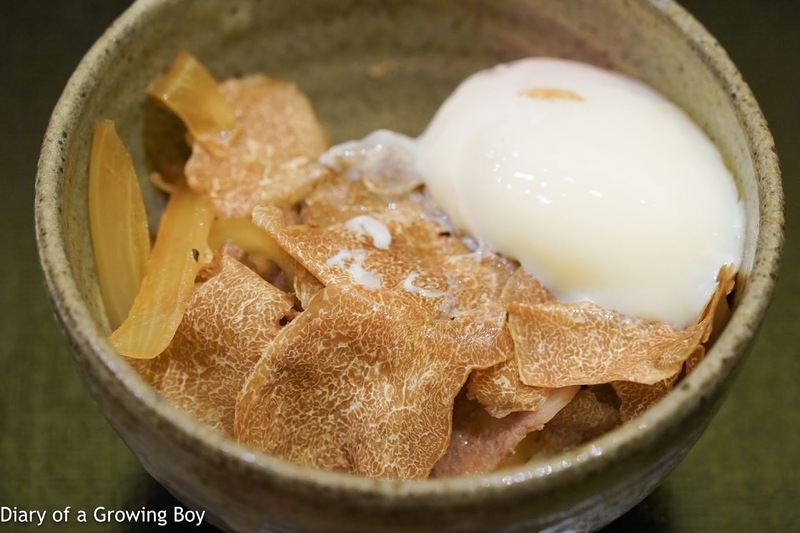 The leaner piece came with a little dab of sansho (山椒). 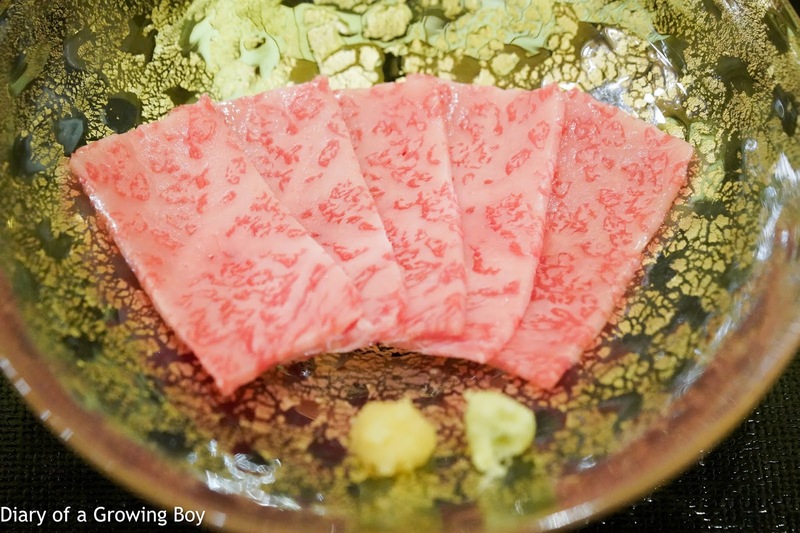 Wagyu tenderloin shabu shabu, kujyo spring onion, shiitake mushroom, maitake mushroom (椀物：北海道 香深浜産蔵囲利尻昆 牛ヒレしゃぶしゃぶ 九条葱 椎茸 舞茸) - I could never complain about shabu shabu with Japanese wagyu. 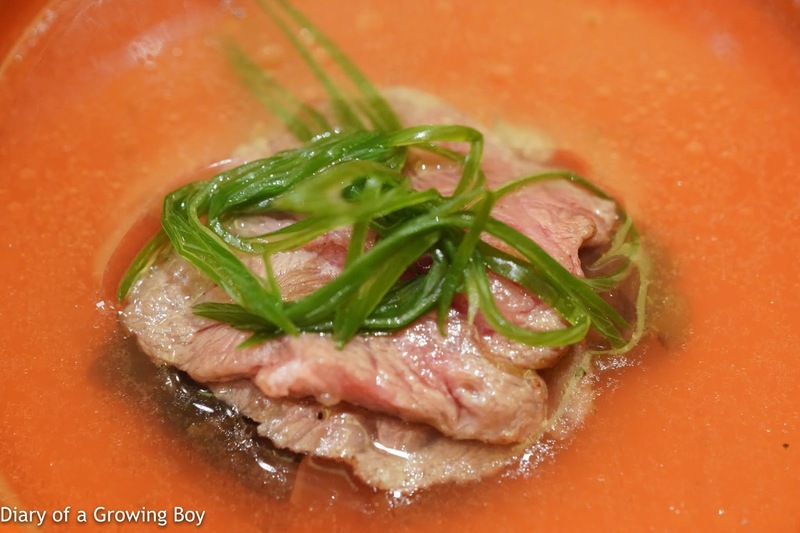 The soup was distinctively smoky, and the spring onions carried pretty strong flavors. 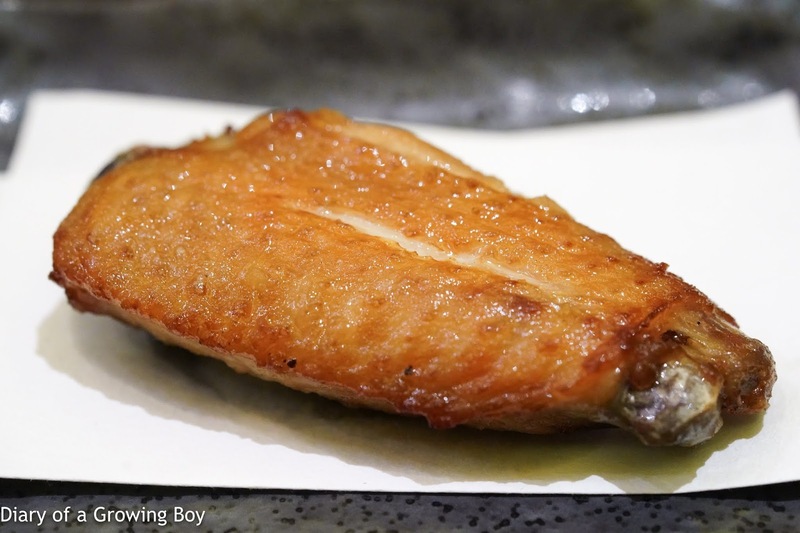 Abalone (鮑) - nice and tender. 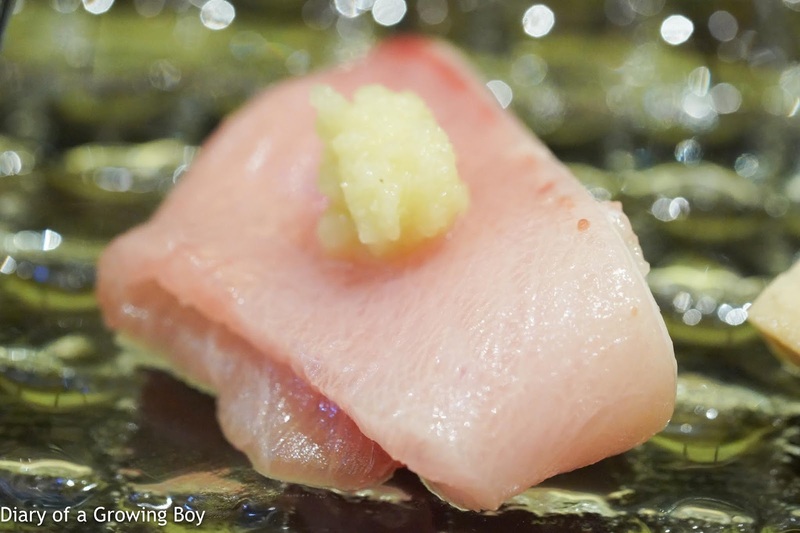 Sashimi : wagyu sashimi (造り：牛刺身) - this came with little dabs of wasabi as well as minced raw garlic. The latter was a little too strong. 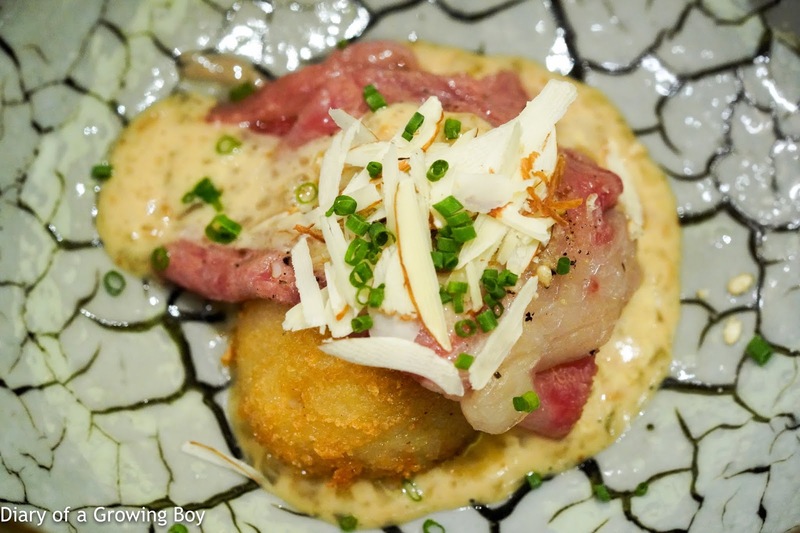 But the thin slices of beef, of course, simply melted in the mouth. 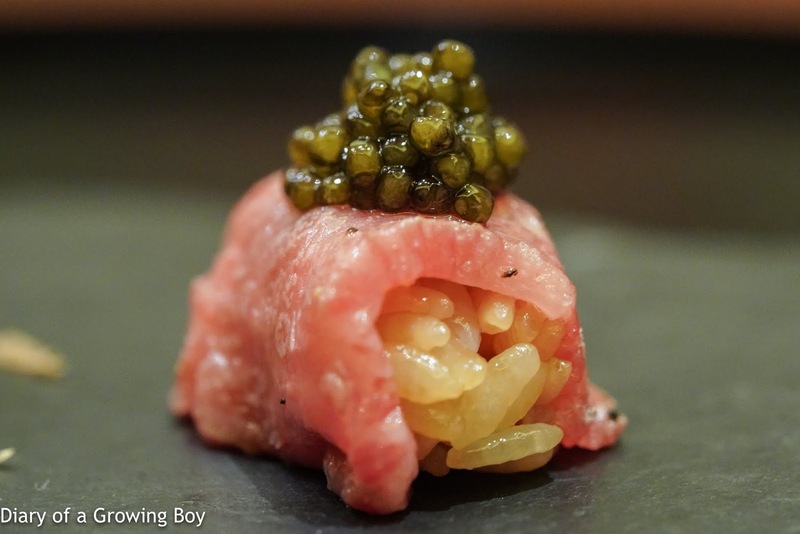 Chef selection sushi (お淩ぎ) - as was the case last year, we had wagyu nigiri sushi... the first of which came with white truffle shavings. Then we had one with some caviar on top. 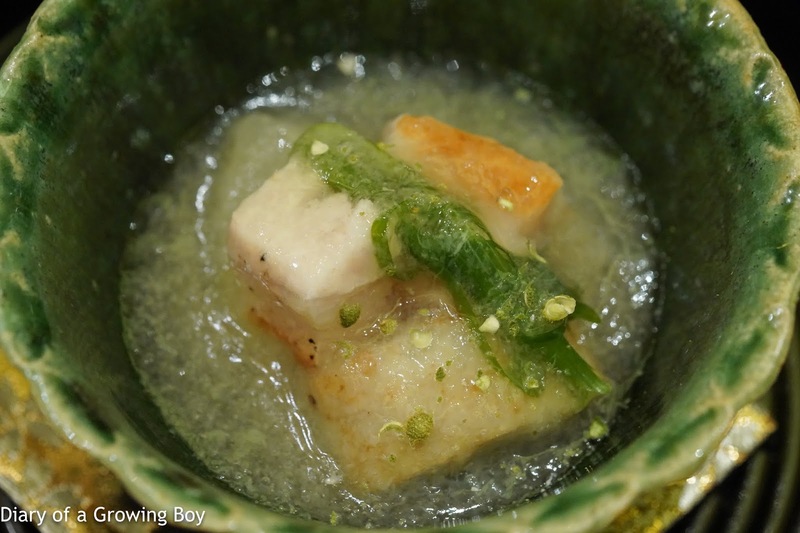 Pork shoulder with Shogoin radish soup, taro, Kujyo spring onion (旬菜： 梅山豚 肩ロース 京都聖護院大根スープ仕立 里芋 柚子胡椒 九条葱) - this came with a surprising amount of sansho (山椒) pepper. 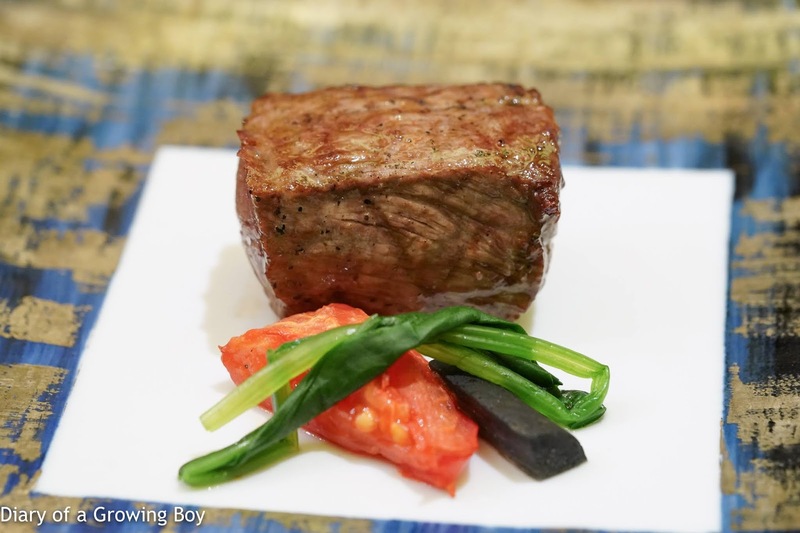 Charcoal grilled A5 Hida beef chateaubriand (主菜： 飛騨牛 A5 シャトーブリアン炭火焼き) - given that this restaurant used to be called Wagyu Kaiseki Den, it's no surprise that the main event is Japanese wagyu. 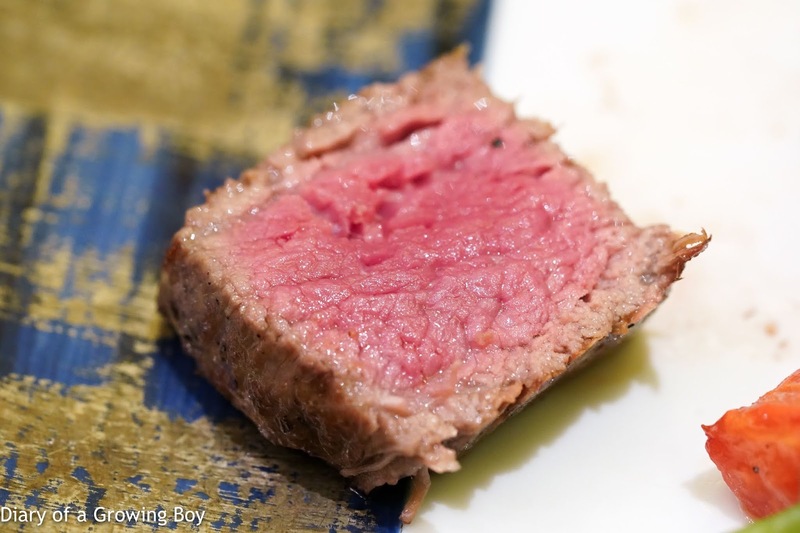 This bloc of chateaubriand looked beautiful after grilling. And the doneness was simply perfect. Wonderfully tender. 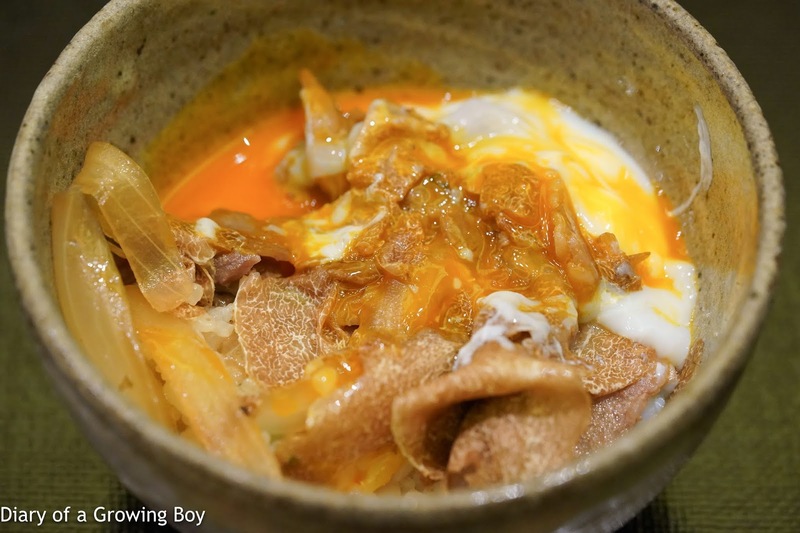 Wagyu rice with truffle rice (食事：和牛 トリュフ 土鍋ご飯) - the rice here always comes in a clay pot, and tonight it looked like a premium version of gyudon (牛丼)... made even more luxe by shaving white truffle on top. The only way to make this even better was to add a soft-boiled egg into the mix. Just look at how sinful that is! So, soooo satisfying. 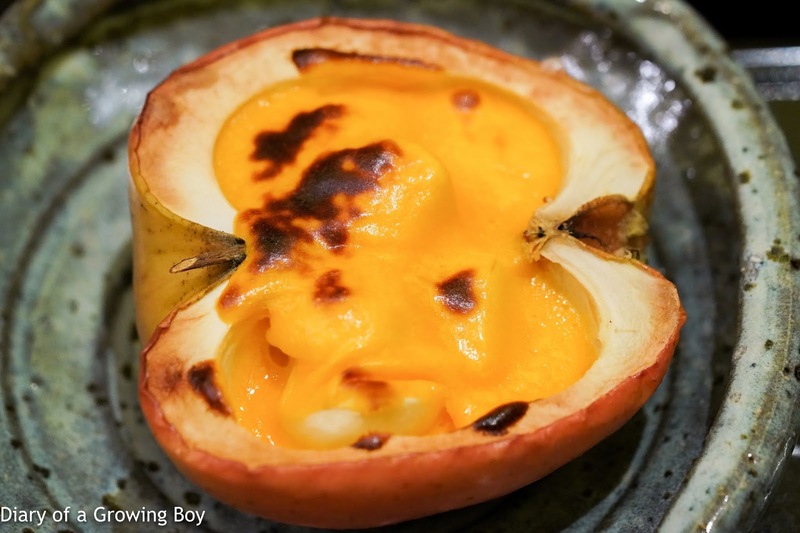 Sweets: grilled apple (甘味：焼リンゴ) - pretty decent, actually. 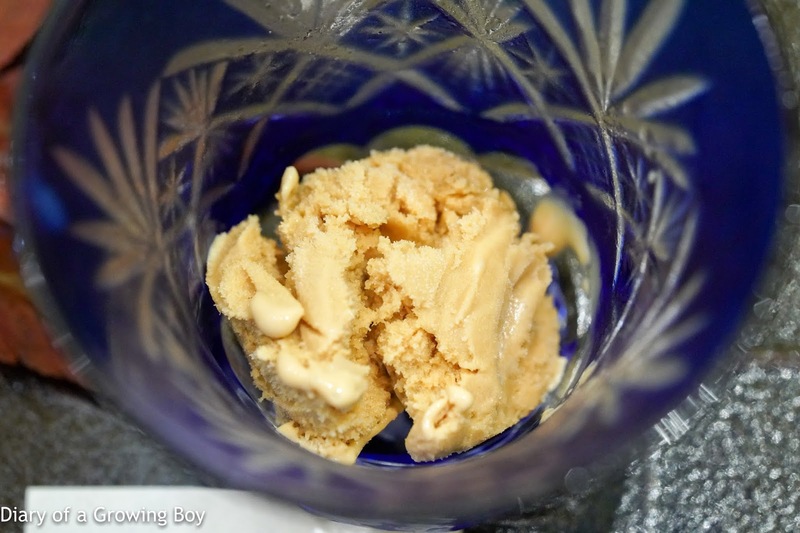 Houjicha ice cream (ほうじ茶アイスクリーム) - very nice. Good concentration of the tea flavors. As with any MNSC dinner, the focus is squarely on the wines that we blind taste. And Juliano prepared quite a series of treats for us. 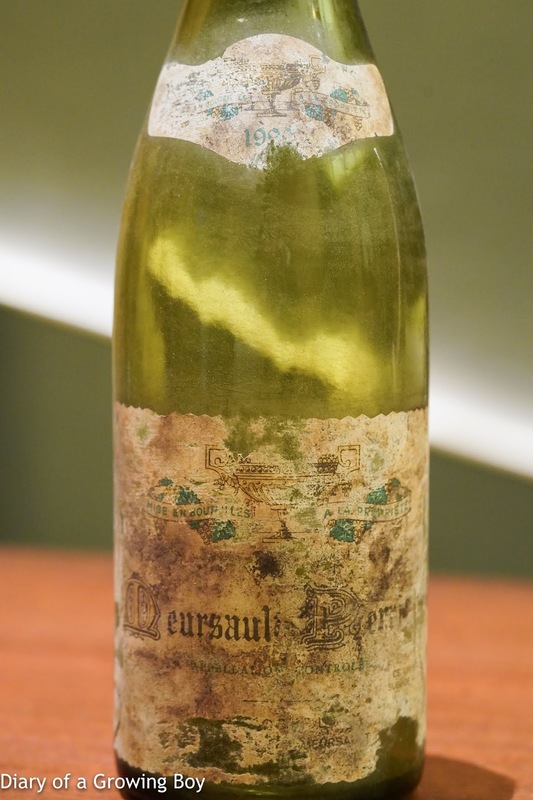 1989 Coche-Dury Meursault 1er Cru Perrières - buttery, sweet, seemingly so smooth and viscous just on the nose without actually tasting. Grassy notes with marmalade. Beautiful, but slightly too warm. Second pour showed more coffee and toasty notes. First pair: opened 1 hour and 45 minutes prior to serving. 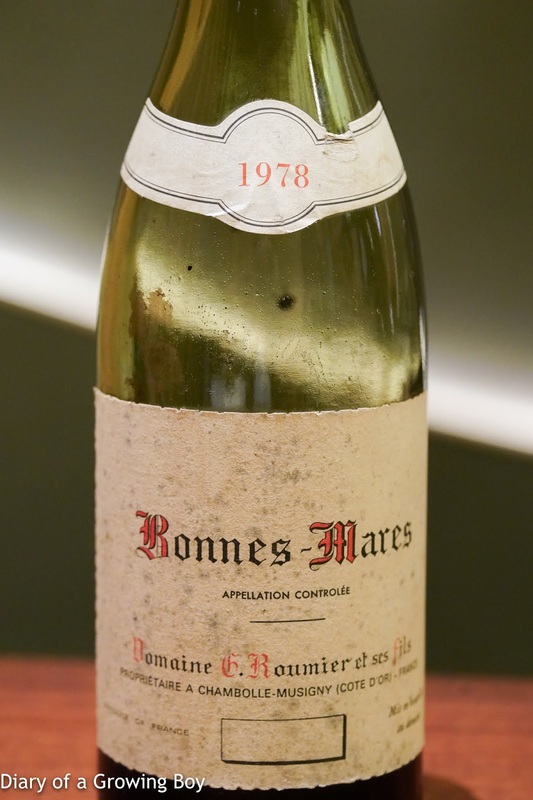 1978 Roumier Bonnes Mares - grassy, a bit stinky, with leather and smoke. Acidity was high on the palate. Was this corked? 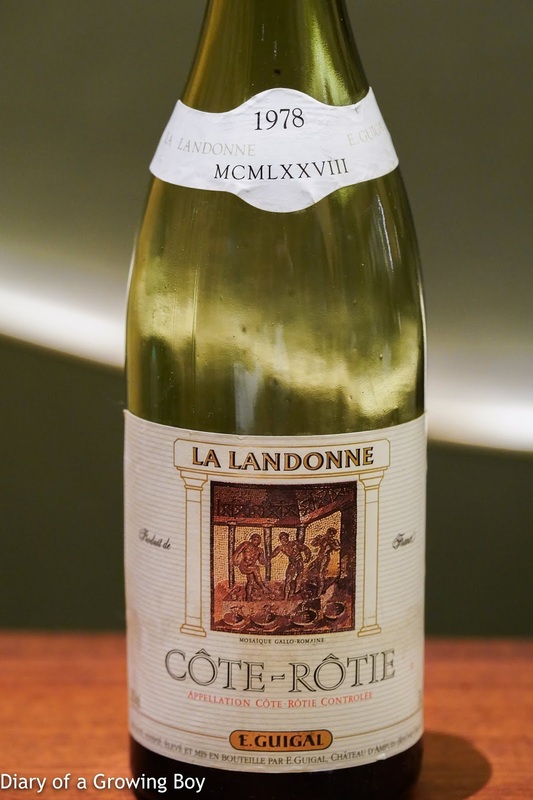 1978 Guigal La Landonne - more animal notes, and more concentration here, along with higher acidity on the palate. A little stewed fruit, minty, and still got some tannins here. 96 points. 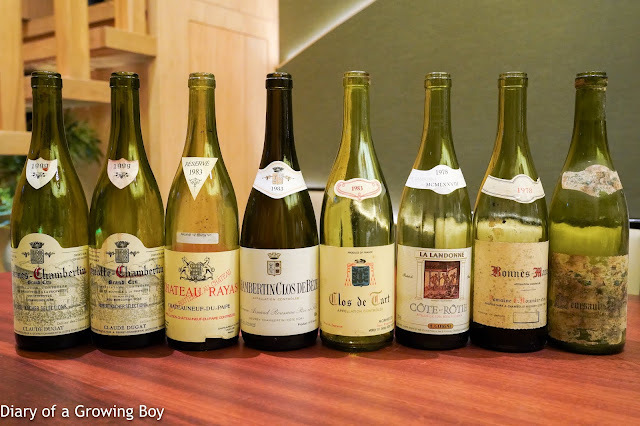 Second flight: opened 2 hours prior to serving except Clos de Tart, which was opened just prior to serving. 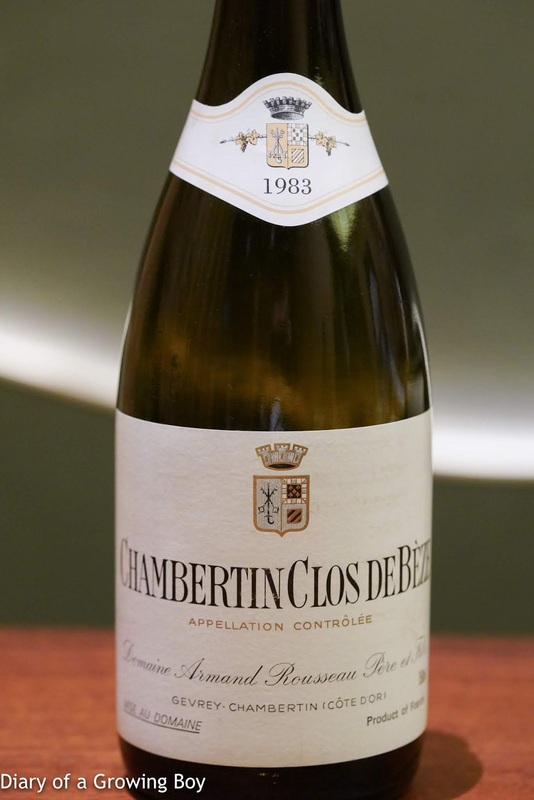 1983 Rousseau Chambertin Clos de Beze - sweet but not quite open, acidity was apparent. With second pour 45 minutes after first pour, sweeter on the nose. 95 points. 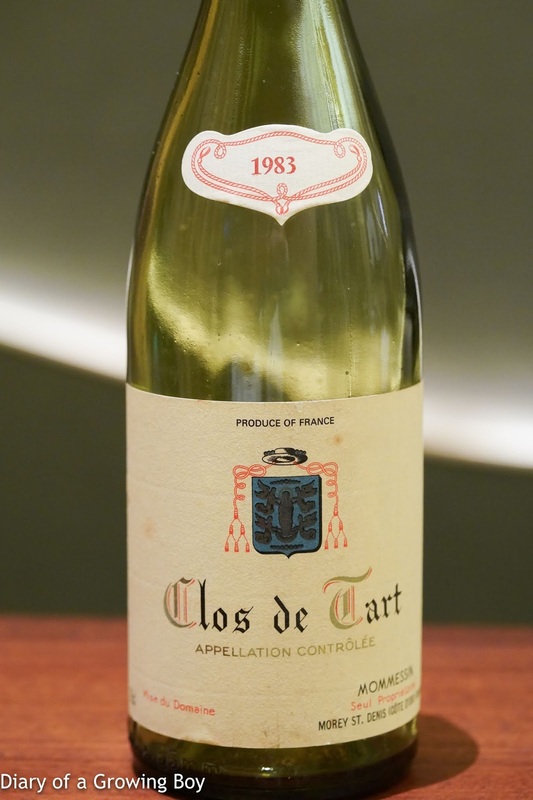 1983 Mommessin Clos de Tart - surprising coconut notes. Later also showed high acidity. 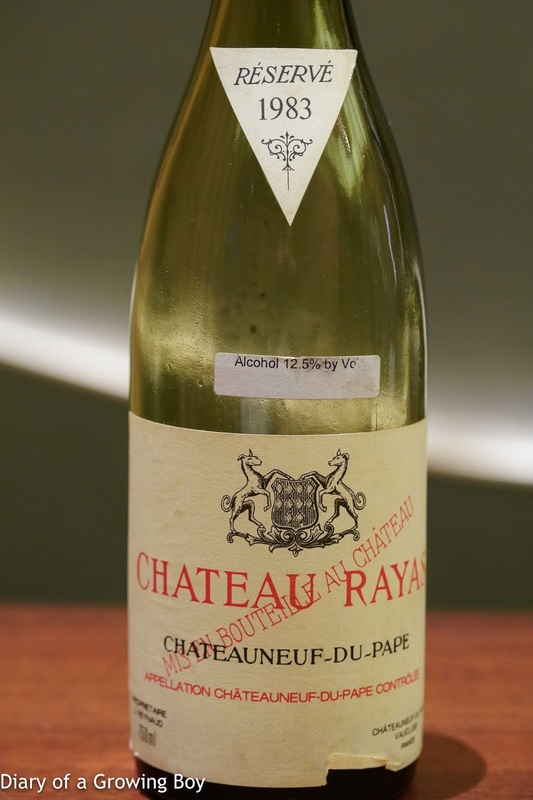 1983 Rayas - very nice. A little burn rubber, but much more open. 96 points. Second flight: opened 3 hours prior to serving. 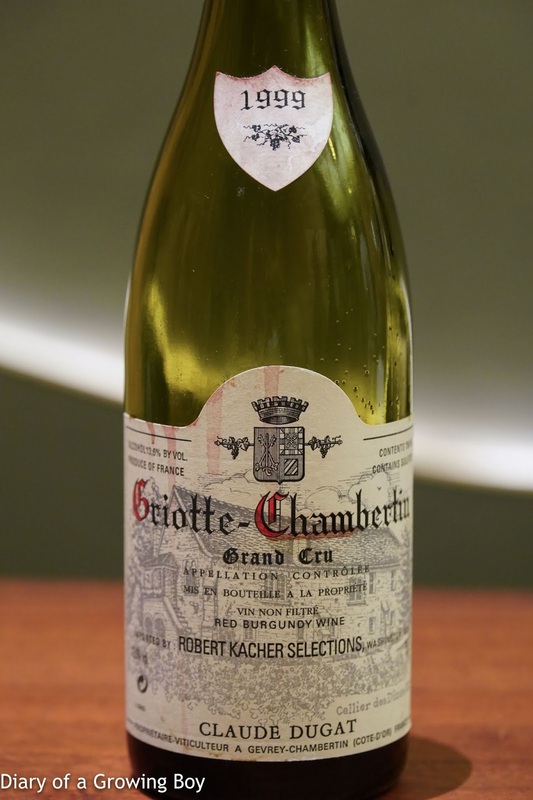 1999 Claude Dugat Griotte-Chambertin - still a little tight and not too open. 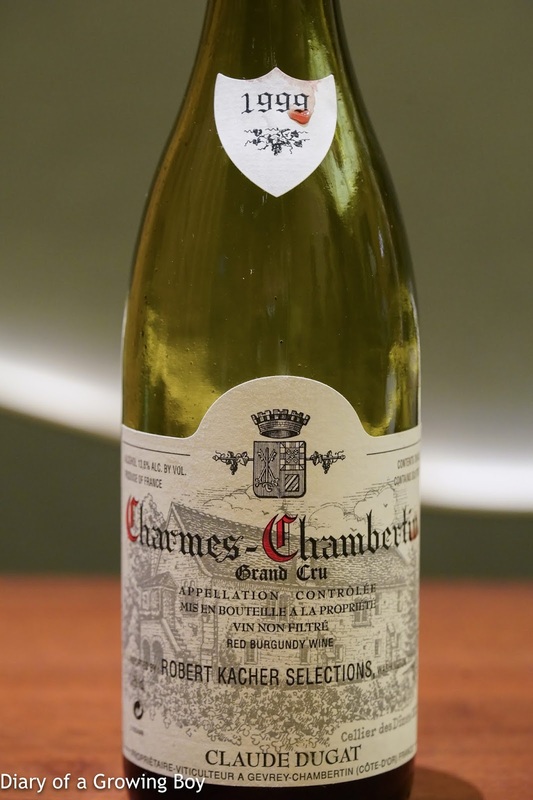 1999 Claude Dugat Charmes-Chambertin - smoky, chalky, stinky. Improved later with meaty notes.